Description: Meet up with representatives of Dorset’s largest conservation charity and discover how Knoll’s naturalistic gardening ethos continues to create a garden that welcomes wildlife as well as providing year-round beauty. In recent years, Knoll’s charitable arm, the Knoll Gardens Foundation has been working very closely with Dorset Wildlife Trust. On this special day DWT members and volunteers can visit the gardens free of charge on production of a valid DWT membership card or proof of volunteering status. And, anyone joining DWT on the day will have their garden admission charge refunded. No booking required. 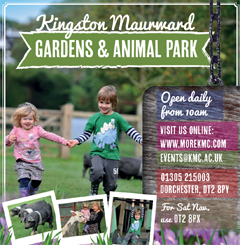 Normal garden admission charges apply to all non DWT members. On this special day for every full price ticket purchased £5 will be donated to the garden’s charity, the Knoll Gardens Foundation. Please let us know you saw us on What's On in Dorset!